It’s been a fixture on the third floor of Webster Hall since the 1990s, and now the Language Lab across from the International Language Resource Center has undergone its first major renovation. 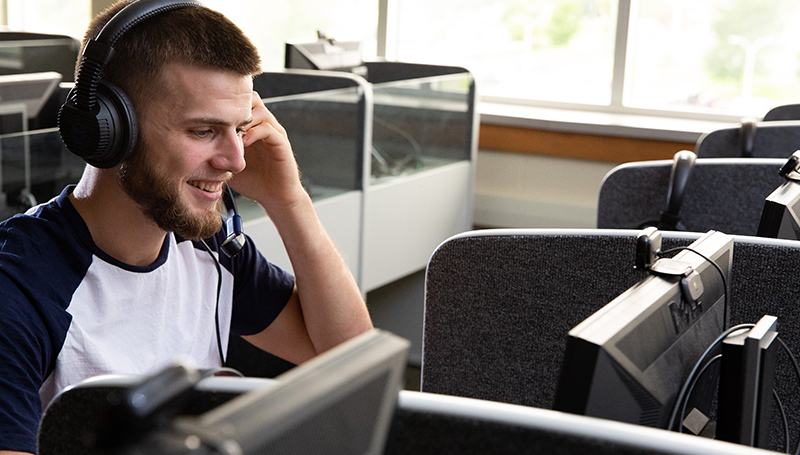 Thanks to $20,000 in upgrades, the lab is now home to a total of 29 new computers and 29 new voice recorder headsets. “We really can’t thank our IT department enough,” said Dr. James Kilpatrick, chair of the Modern Languages Department, crediting the work they’ve done to keep the lab up-and-running in years past. He said much-needed improvements to the technology means faster run times, which will benefit students during class time and on test days. The project began this summer and was finished in time for the start of the fall semester.